The elegant hairstyle can easily convert regular guys into suave gentlemen. In fact, these haircuts and styles are the things that ensure you make a great first appearance. The first thing that people think when looking at Mens Classy Hairstyles is that the man must be charming, sophisticated, and smart. The hairstyles are just what you need to ensure all eyes are on you during the social parties and at the office. These are anything but boring in spite of bringing just the kind of elegance that you were looking for. From the daring haircuts like the undercut to the typical ones like side combed hair, everything can be customized to make it look all elegant and a symbol of class. These hairstyles are perfect to be paired with your sharpest suits, beautiful blazers, and stunning tuxedos. Step out with confidence flaunting any of these looks and be prepared to get compliments. An undercut hairstyle does not mean it has to look all funky. You can stylishly underplay the undercut to make it look classy. This hairstyle is for the men with wavy hair. Let the hair in the middle stay puffed up against the undercut done on the back and the sides. Apply some get and brush your hair backward in a slanting manner. There needs to be no demarcation or parting between contrasting hair lengths. Go for this haircut to bring a somber look to your personality. This hairstyle speaks of a man who means business. There is no undercut, but the hair on the sides is a bit shorter in length than the hair at the center. You need absolutely straight hair to carry out this style. Start with oodles of hair wax. Puff up the hair as much as you can after brushing it backward with a thin-toothed comb. This hairstyle is a classic in the world of elegant hairstyles for men. It suits men of all ages which is one of the reasons for its popularity across the globe. Go for a prominent parting on one side of the hair according to the side that suits you the best. Comb the hair on both sides in the usual manner. Raise up the hair near the forehead in a wave-like manner. A typical pompadour has always been considered one of the classiest of the men’s hairstyles. It is the hairstyle that looks as good in the office as it does in the parties. It shows that you do not need to compromise with style to get a hairstyle suited for the office. Brush your hair to roll it back. Make sure there is enough volume given to the front of the hair. The texture is the main draw for this hairstyle. The sides are kept simple and back brushed. The toying with textures begins with the hair at the center. The hair is all combed and brought towards the front. Right at the front, several strands of hair are taken individually a tweaked upward. It is a great hairstyle for you if you suffer from the thinness of hair as the texture covers it all completely. This one is a combination of three classic trends in men’s looks, namely, the fringe, the undercut, and the beard. The medium-length hair in the center is brushed forward to make it fall over the forehead like a fringe. It should cover only half, at not all, of your forehead. Grow a full beard and trim it well for the perfect finishing touch to the look. 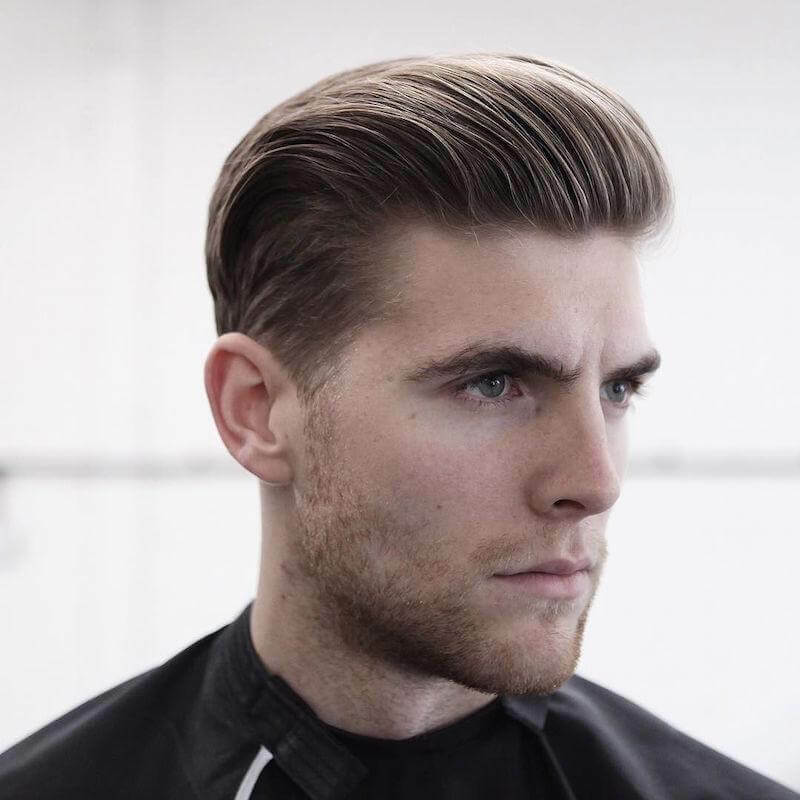 Undercut and side comb are two hairstyles that go rather well with each other. You can take the style quotient even higher by adding highlights to your hair. Go for dark brown highlights against the dark hue of your hair. Let some of the hair be spiked up while the rest neatly combed to one side. Finish it off with a generous spritz of hair setting spray. Curly hair is in a league of its own when it comes to making style statements with your hair. When you have hair so gorgeous, you rarely need to work too hard to get the hairstyle right. Put in some hair pomade but do not interfere with the natural texture of your hair. Make a side parting and side comb your hair by letting a few ringlets fall on the forehead. The quiff is really a versatile hairstyle for men. You get to decide how high you want the central portion of hair to be. You can also choose how short you want the sides. Here, you can see the quiff has been kept of medium height which is perfect to be paired up with your sharp tuxedos. Quiff, by nature, is a bit messier than pompadour. This one follows the norm too. Not every man wants to hide the widow’s peak. Some gracefully embrace and even make an amazing hairstyle out of it. For this one, go for a hard parting using a razor on one side. The side of the parting with less hair needs to be brushed as usual. Get the best of the hair products to create a wet look on the other side. Take you fine-toothed combed and applied pressure to slick the hair back. The contrast of colors with the dark hair and the salt and pepper beard makes the look so attractive for men. This hairstyle demands nothing less than a full beard that is immaculately trimmed and shaped. The hair gel gives a shiny and wet look to the hair. All you need to do is brush the hair well, wear that tuxedo, and step out. The distinctness of full beard and undercut hairstyle makes this look really edgy. There is skin fade on the back and sides and that starts right below the trimmed undercut. The beard starts from the sideburns but it does connect to the hair. Brush back the hair and you are ready to take the world by storm. The length of hair needed for this is medium and definitely nothing too short. Get the parting just a bit away from the center. This one has flaming red highlights on one side. But that is up to you to decide whether or not you are comfortable with such a daring color. Apply pressure while combing to ensure that the hair is slicked back in the right manner. Every man is not an absolute fan of short or medium length of hair. Some men keep their hair long for the longest time and they prefer it that way. The length of the hair is just above the shoulders. The hairstyle is super easy to set when you are in a time crunch. Just brush your hair all through the length and tuck a few strands behind the ear while leaving out some strands. The older men need to choose their hairstyles rather carefully. They cannot go for something that is out and out funky to look at. They also do not want the hairstyle to be boring and flat. The hair is cut in layers and the small strands are getting used to hide the parting and the widow’s peak. The black and white of the hair color stands out too. Go for skin fade if you want the daring pompadour to stand out on your head. Get the height of the pompadour as high as you can. Brush it well and set it in place with hair setting spray. There must not be any curls or waves in the hair. It demands naturally straight hair and if you do not have that, your hairstylist can come in aid by straightening the strands. The hairstyle has a nice relaxed and young vibe to it that you cannot help but love. This is the ideal style to be tried for the high schools and colleges. You are not letting the hair story be boring but you also do not have to put in too much of an effort in getting the hair right every morning. Just side comb it and wear your stunning sunglasses. The taper fade hairstyle is called so because the hair has a tapering effect as one moves from the sides to the center. The hair seems like it is gradually increasing in length right at the center. Keep the medium length hair at the center all messy and the messiness is something that you can do by running your fingers through the hair. Before setting out to try this one, make sure you have inherent thickness of hair. 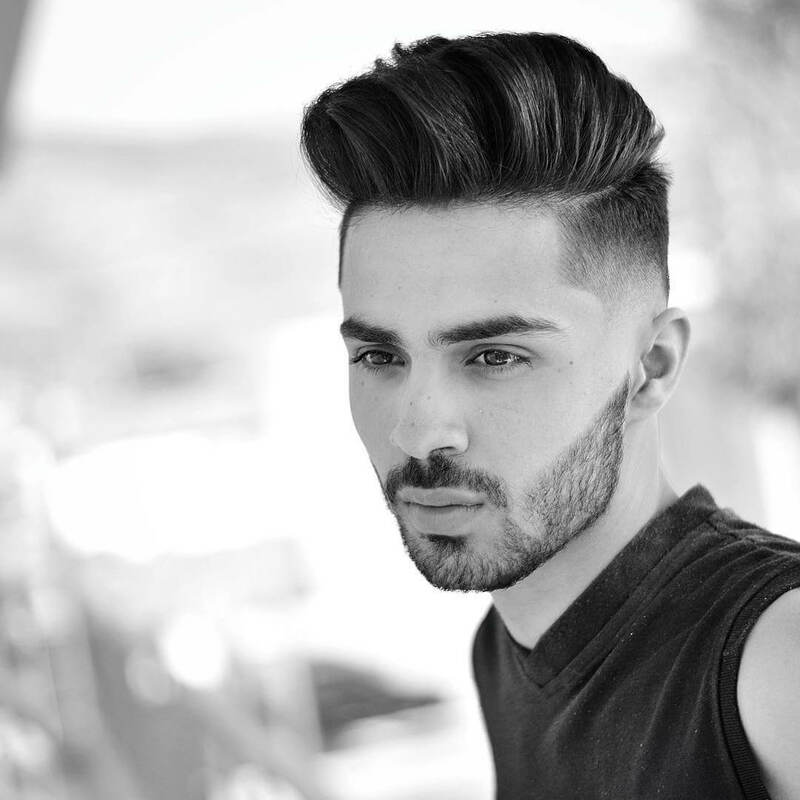 The given eighteen Men’s Classy Hairstyles have all the hairstyle inspiration that you can need for your next hair makeover. Pick out any of the fab eighteen looks and just go for it.